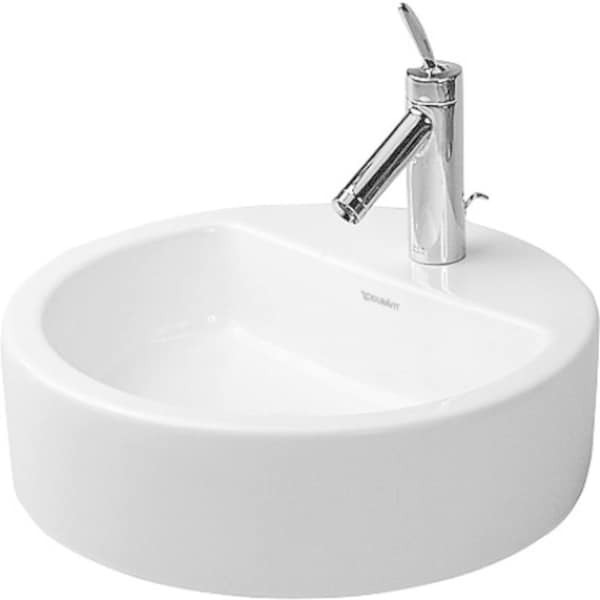 This round bathroom sink features a white alpin finish that will easily complement your decor style. The contemporary design is perfect for any modern home owner. Dimensions 23.0 In. X 23.0 In. X 12.0 In.